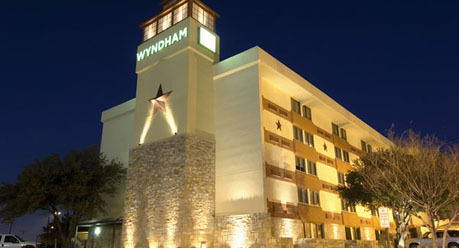 The USAFL Nationals committee is pleased to announce that the Wyndham Garden Hotel will be the main host hotel for the 2013 USAFL Nationals. All meetings, the USAFL Annual General Meeting (AGM) and the Friday night player check-in and welcome function will be held here. It is mandatory for all participating clubs to stay at one of the official host hotels. Additional hotel information will be released once the Wyndham is fully booked. Clubs may reserve rooms for the whole team with one credit card and name until 9/26/2013 or until block is full with individual names and credit cards due by October 4. To make reservations contact Laura Garcia at 1 (512) 634-2001 or laura.garcia@whitelodging.com. Reservations should be made as part of the 'USAFL block'.